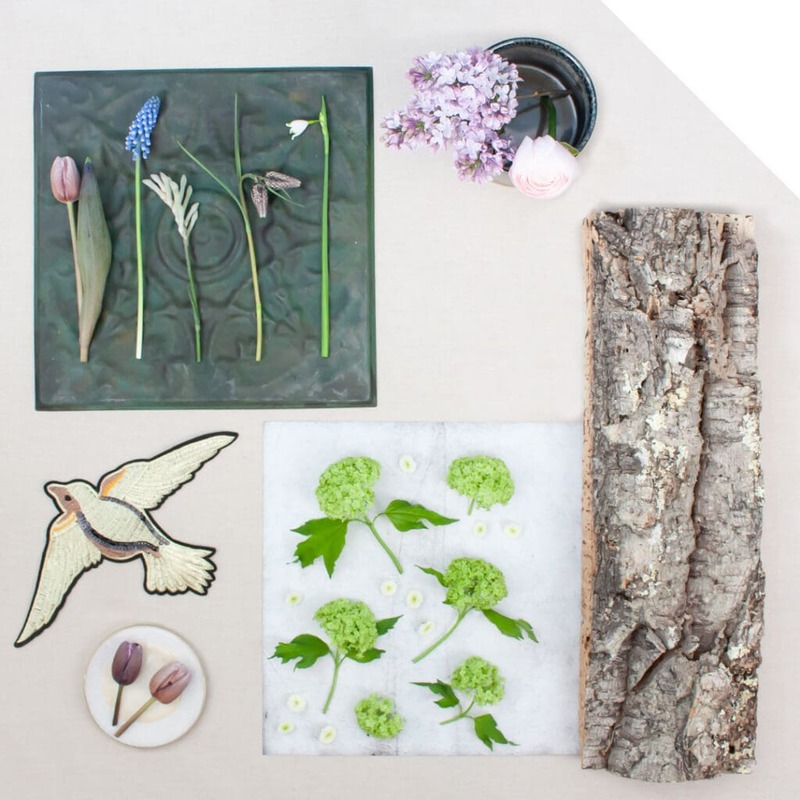 The temperatures are slowly rising, and the typical spring flowers become available in our webshop. The various shapes and colors of Fritillaria and Muscari match wonderfully to each other. Combine this with the lovely appearance and smell of Freesia in an easter egg spirited planter, and create an instant spring feeling! 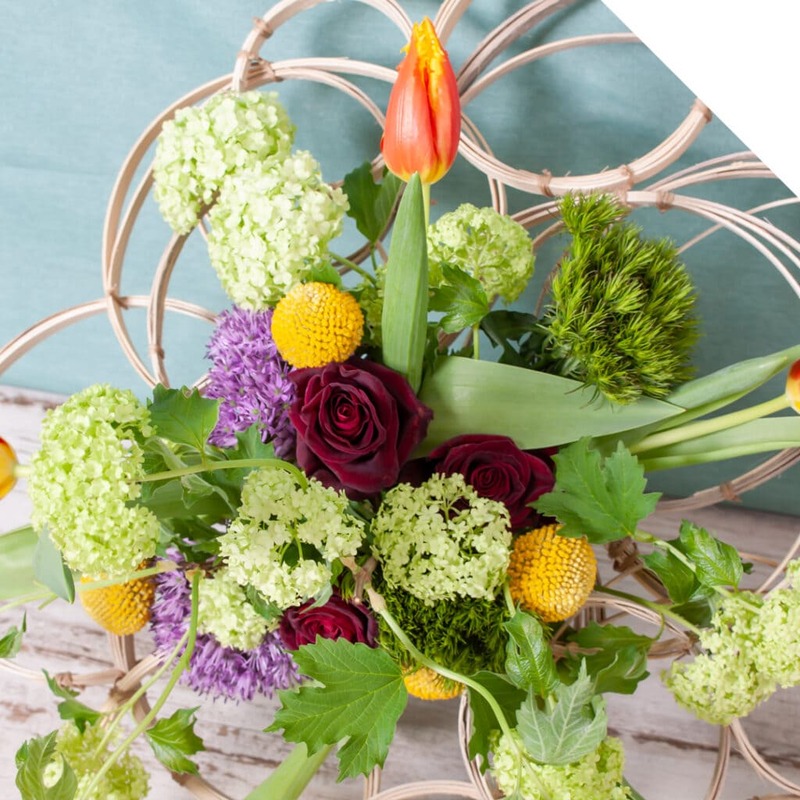 Be inspired by this video tutorial, follow the steps below and create this lovely spring egg with Fritillaria. Cut the foam in shape and push it firmly in the planter. Add the Eucalyptus. Push them firmly in the floral foam. Now add the Freesia. Cut approx. 3cm off the stem and place them nicely spread in the floral foam. 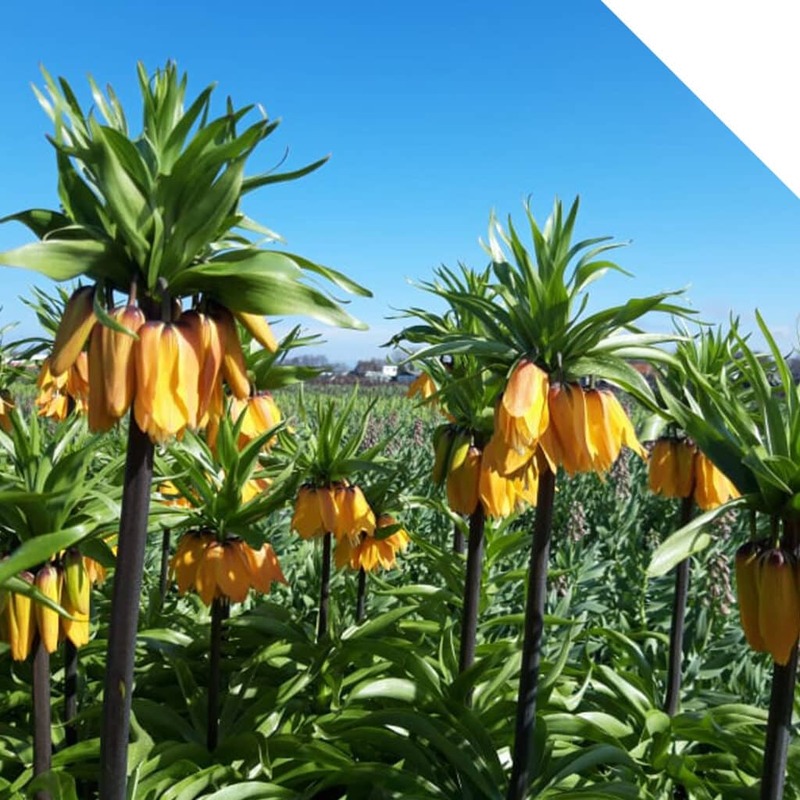 Add the various Fritillaria varieties. Make sure there are Fritillarias on every side of your piece. Finally, add the blue and white Muscari. 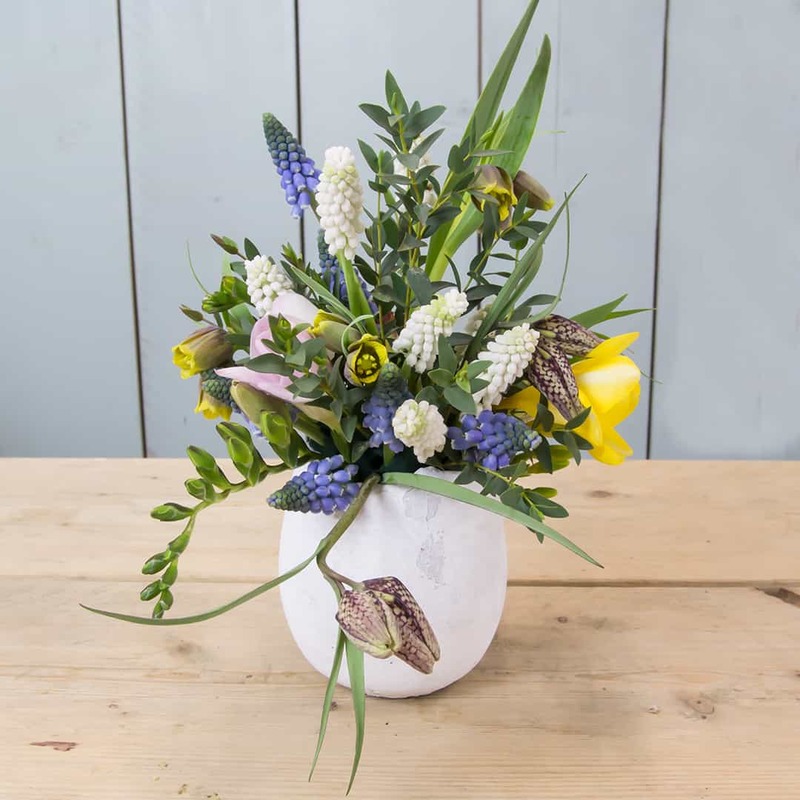 Your lovely spring egg with Fritillaria is now ready! Enjoy!